It’s been a rough start to 2015 for me – too much awfulness to share here. Through it all, though, life goes on, and that has meant that I’ve had to find ways to move forward. Easier said than done. 1. Forgiving is easy. It’s forgetting that is hard. You always hear people talking about things they can never forgive – how silly is that. It is very hard, when faced with someone truly remorseful, to withhold forgiveness. The problem is that you can accept someone else’s sincere remorse – and still feel hurt. And until you can forget the thing you’ve already forgiven, it’s impossible to move on. Knowing this doesn’t make it easier to do – but, at least, now, I know what needs to be done. 2. 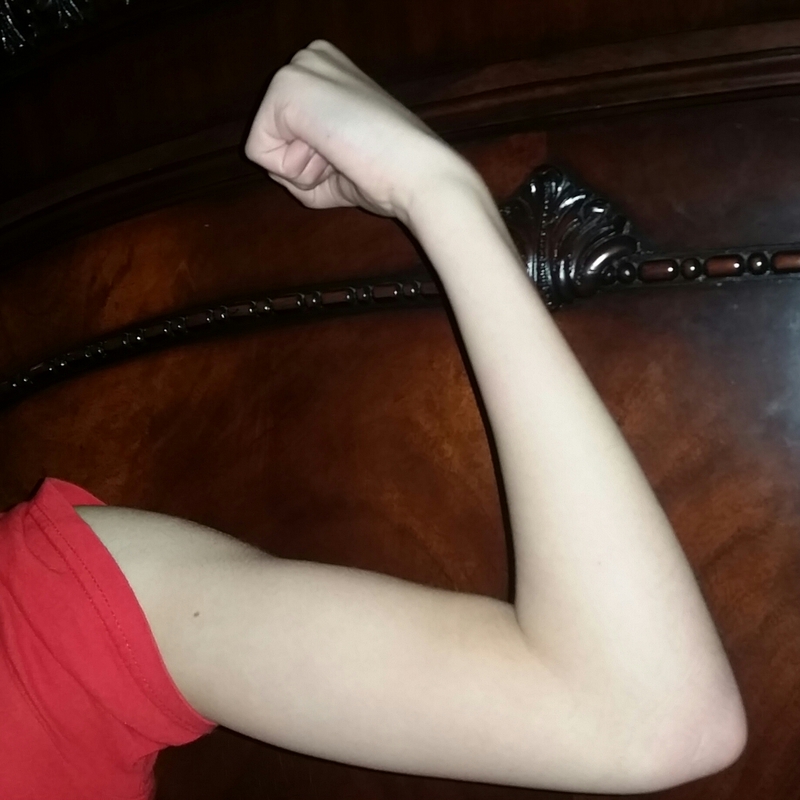 Strong and stubborn are not the same thing. Most of us are raised to believe that consistency is a sign of strength – that when you make a decision, you should stick to it. This is especially true if you’re a parent – you’re told that once you say something to your kids, you can never back down. But refusing to back down regardless of the circumstances is just pigheadedness, not strength. In fact, it often takes a lot more strength to reverse yourself and admit that a different path of action is the wiser thing to do. 3. It doesn’t matter what they say – pay attention to what they do. I blame this inclination of putting more stock in words than actions on being a woman. I have a tendency to talk everything to death, on the assumption that a verbal contract is binding under the law. But people can be careless with their words, and often the words that are treated as the most binding are the ones that were said in the heat of the moment and probably shouldn’t be honored (see 2 above). For me, I’ve learned that I often don’t give people enough credit for the good things they do if they say a single hurtful thing to me – something that I work every day to change in myself. 4. Distance – more than time – heals all wounds. In the immortal words of Elsa, “Let it go.” Remember that things don’t need to be talked to death, and sometimes walking away does more good than the most honest, open, unrestrained conversation. You know how you shouldn’t sweat the small things? Given enough distance, everything is small. (I may be paraphrasing FROZEN again there….) One more thing: for time to heal wounds, the clock has to start – and that can’t happen until you stop talking it to death. That’s why distance is so much more important. No matter how loud you’re shouting, it’s impossible to be heard 10 miles away. 6. If you’re going around in circles, it is your own responsibility to get off that ride. No matter how many times you punch 2 + 3 into your calculator, the answer is going to be 5. If you want a different output, you need to change the inputs. 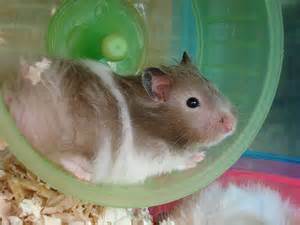 When your life is a hamster wheel of the same disasters, get off the darn wheel. You cannot wait for another person, a particular set of circumstances, or a force of nature to push you off the wheel – you have to make that choice yourself. Again, this isn’t easy – humans are creatures of habit, if nothing else, and we like our hamster wheels. But, sometimes, you have to make yourself break out of your comfort zone and change the inputs. 7. If you have to put yourself first, you’ve made the wrong choices. So often people talk about how others in their lives aren’t making them happy, how they need to put themselves first. Well, first, putting yourself first isn’t a need, it’s a want (see 5). Second, the truly happy people I know are the ones who do for the people they love and trust that those loved ones will do for them. Now, listen – happy doesn’t mean without complaints. It’s still annoying when your husband doesn’t take your dreams seriously, or your kids expect a chauffeur who will do his duty in silence, or your mother complains about your housekeeping skills instead of praising your career. But when you are generous with yourself – and you’ve been generous to the right people – the math works out in the end and your bucket should be full. 8. Trust, but verify. Trust is one of those funny things – it’s too valuable a thing to be careless with, and yet if you can’t freely give it, your relationships won’t work. This goes for your friends, your partner, your children – you cannot live in a place of suspicion where every motive is constantly questioned (if you did, you’d end up with no friends, no partner, and children who avoid you). And yet, with age, you learn that blind trust is meaningless and anyone who demands blind trust…well, he is probably deceiving you. So here’s the one subset of “putting yourself first” that is ok – never be ashamed to verify facts that are important to you. And never let someone else make you feel guilty because your “mistrust” uncovered his deception – it isn’t mistrustful to verify. It’s just smart. 9. Very little in life will actually kill you. Talk about perspective. You hear the phrase “it’s killing me” tossed around constantly. Really? It’s killing you that your daughter talks back? When’s the funeral? It’s killing you that your boss eats all the blueberry muffins in the break room? Should I start on your obituary? These things aren’t killing you. They’re annoying you. Just like it is important to know the difference between need and want, you need to acknowledge the meaning of the words kill, slaughter, and dead. And then you need to understand that the old saying that “what doesn’t kill you makes you stronger” pretty much means that almost everything in your life has the power to make you stronger (because almost nothing will actually kill you!). Keep the correct outlook on life and watch your stress level plummet. Or even get slaughtered. 10. The sun truly will come out tomorrow. This goes along with 9 – very little will leave you dead, and no matter what, tomorrow is a new day. As dark as it gets, the sun always rises. There is light at the end of the tunnel. I know these sayings are trite and clichéd, but they’re also true. It’s important to remind ourselves that, no matter what, there is always tomorrow, and that that is a gift. BONUS: Love heals all. The worst times in my life happened when I forgot this very simple truth. That’s why I got the tattoo – I never want to forget again that no matter how much pain there is, love will heal it all. ← Curriculum Guide Celebration Giveaway! Simple truths. Beautiful. That about sums it up! Thanks for sharing today! Great reminders of what is most important!! All the best! Deeply felt truths and thoughtful commentaries. You’ve already begun the healing by sharing your insights with your gift of writing. Love (and time) really do move you forward. Best wishes. My heart goes out to you. Sorry 2015 has been off to a rough start. Thank you for sharing your wisdom, I have been learning some of these truths as well over the past year or so. Now that you’ve gained (and shared!) all this wisdom, I’m wishing you a happy, “full bucket” peaceful period where you don’t need to use it. Now that you’ve learned (and shared!) this wisdom, I’m wishing you a time of peace and bucket-not-just-full-but-running-over-and-flooding-the-floor goodness where you don’t need to use the wisdom. So sorry that things are rough right now for you, but I need to tell you that what you wrote about it is amazing. I have read it twice, and will keep it to read again. 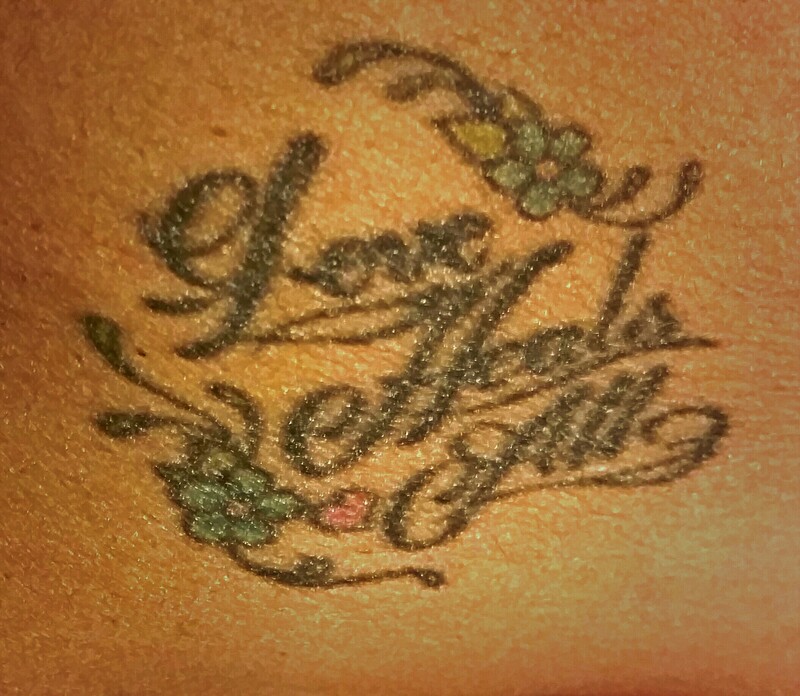 And…although I won’t tattoo it on my body I absolutely agree that Love Heals All. It does! Thank you for writing this…and things will get better…sometimes it just takes longer then we want it to! A wise perspective like yours can keep us going even when we want to wallow in despair. Things do and will get better. I hope your rough time is getting easier! I’m very sorry to hear that this has been a rough year for you, but thank you for sharing these pieces of wisdom. Number 7 resonated with me especially strongly right now. And as far as needs vs. wants go, I’m right there with you when it comes to Bon Jovi. 😉 All the best to you. Thanks for sharing, Sudipta. I believe that the pain we experience is meant to help others. Love your tattoo. If only some people would choose to let love heal. Sorry about your rough 2015, Sudipta. I know it sounds cliche but we grow through adversity and become different/better people…at least that’s been true for me and that’s what I got from the amazing thoughts you shared in this post. It was wise and touching. Thank you! Beautiful. Just beautiful. Words than needed to be said . . . and heard. Well done! A great reminder, Sudipta. Now that you’ve made it through the awfulness of the first two months of the year, I hope the remainder of 2015 is spectacular—or at least, enjoyable—for you and your family. Warm wishes and hugs from the West Coast. I send a big hug to you, Sudipta. Your words resonated in my heart. Hope more happiness seeps in each day!!!! I send you a big hug, Sudipta. Your words resonated in my heart. I hope happiness seeps in each day. Thanks for sharing your heart and struggles with us, Sudipta. What courage you have. One thing I have learned about forgiving and forgetting is that forgetting is next to impossible since our human brains store EVERYTHING. It seems what has impacted us deeply tends to explode again when a similar circumstance rises. When this happens to me, I try ~ not always successfully ~ to remind myself *sometimes out loud* that I have already forgiven that offense and I refuse to go fishing in that pond anymore. I hope this helps and that you don’t mind me sharing…keeping you in prayer as you move forward with 2015. Good post. I hope 2015 turns around for you in a powerful and amazing way. I’m sorry you’re hurting. I felt your pain as I read your beautiful words. Thank you for sharing your heart. Love does heal all, and we carry it within us. That’s why we’re enough. Thank you, Sudipta, for sharing your thoughts on important issues which we all encounter. 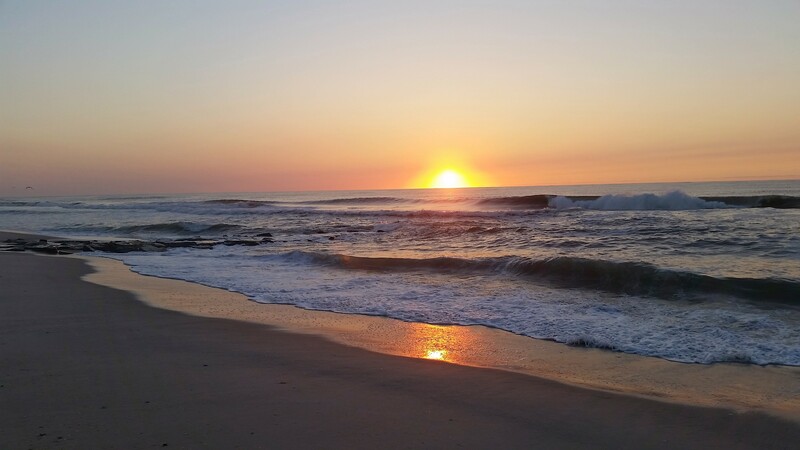 Love does heal all and I keep moving forward with each rising sun. Lovely, heartfelt thoughts. Introspection is almost always painful and uplifting at the same time. I have really be thinking about the power of words lately…Thank you for sharing! EXcellent post, Sudipta! Thanks for taking the time to share this with us. It’s always good to be reminded of the things we’ve wised up to! Great tips~Sorry to hear of your rough year so far. Will pray for you. Another big hug — from across the Delaware. You’re so wise, Sudipta. I really appreciate number eight, it is so easy to be brainwashed. Wishing you wonderful things in 2015. I loved this post, Sudipta. I don’t think there’s anyone who can’t benefit from these honest, heartfelt words. You’re such a strong, vibrant person–thanks for sharing a little vulnerability because I know you’re a rock star inside and out!